The hub of the Gohorn military and the capital system for the whole Directorate. The Gohorn system is comprised of six planets, however only two planets have been colonised and urbanised by the Directorate, Gohorn Prime and Gohorn II. Only 4 percent of the total land space available on both planets is rural areas, the rest is urbanised. The crown jewel of the Directorate, the Gohorn system is the proper template of how a Gohorn system should be. Fanatically loyal, economically successful and incredibly well defended. The Gohorn planetary defence fleet, the Velakor Jar'Zalt (Fleet of the Homelands) is the largest fleet whose sole purpose is the protection of the system. 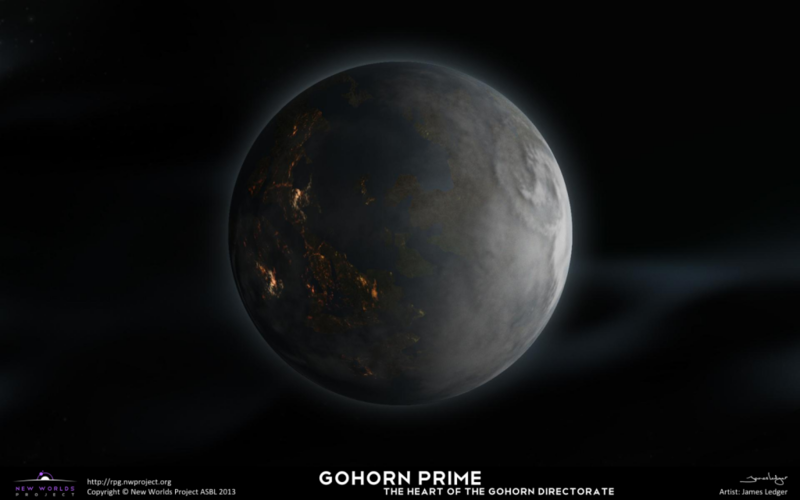 Gohorn Prime is the planet from which Gohorn civilisation evolved. The home to the Capital City and the place where all policy is dictated to the Directorate, the people on Gohorn Prime are as fanatical as a population can be. Support marches in favour of the Chief and the government are common-place, the urbanised planet is literally covered with monuments to previous leaders. Many of these monuments are recently re-constructed, following the reign of Ortez the Traitor. Across the planet there are floating habitats, which hover in the air and provide yet more habitable space for Gohorns. The Capital City of Gohorn Prime is the hub for the entire Directorate. Found in the capital city is the War Center, the home of the Chief of the Gohorn Directorate. This building is located at the very centre of the city, at the heart of a one kilometer square complex that comprises the War Center. Most government functions are run from this fortress of a center. The building which towers over all in the Capital City is the enormous Hall of Gohorn, where all of the military chain of command meet to discuss policy. The military command for the Gohorn Space navy, the Velakor, is a floating platform two miles by three miles long. It hovers 500 meters off the ground, a gigantic complex and one of the best defended sites in the entire Directorate, on par with the Jar'Remteklar Military Command but beaten in defensibility by the War Center and the Ismarx System. Similar to the Jar'Velakor Military Command, Jar' Remteklar is on another continent, resting above the second largest city on the planet. 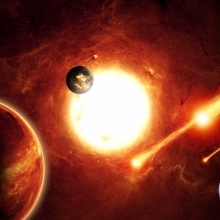 Gohorn II is the sister planet of the Gohorn system. Humans have always described it as "Green's Little Brother," a term that has confused the Gohorns who have very little concept of family. 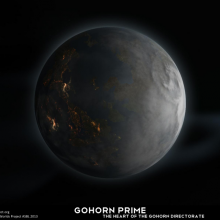 The planet has been colonised for a long enough period of time, and the Gohorns used the planet to such good effect, that looking at the system from a distance it is difficult to tell which planet, Gohorn I or II is the home planet. Gohorn III is an ice planet with few settlements. Its main use is as the primary energy production facility for the entire Gohorn system. 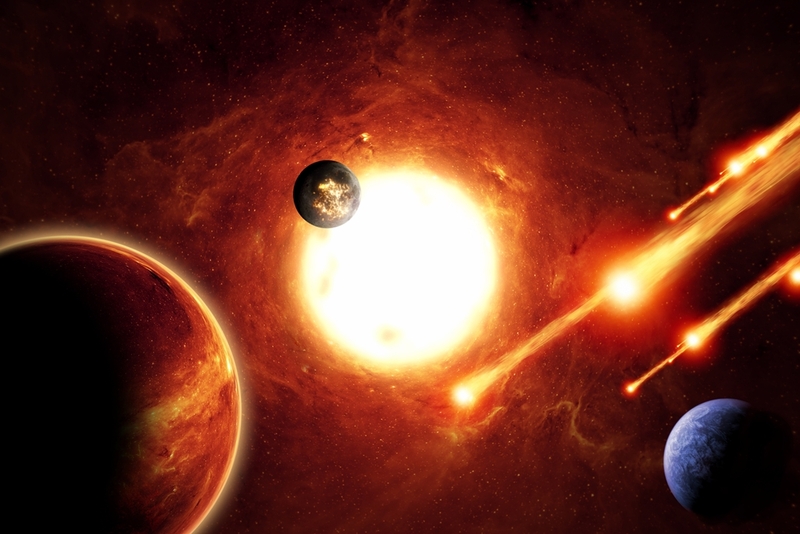 There are vast power generators underground that provide energy to 74% of the star system. A gas giant planet with sixty-nine moons of varying sizes, Gohorn IV is 59% of the size and mass of the Gohorn Sun, making it an impressive navigational obstacle. Gohorn V is a medium sized gas giant of little use to the Gohorn people. Ships rarely venture this deep in to the Gohorn system, there is nothing of value there. A small, rocky world with no use to the Gohorns.